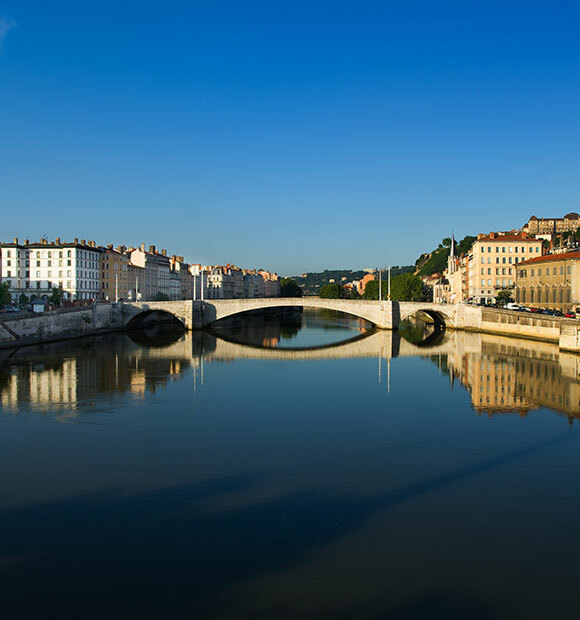 The Saone is a major tributary of the River Rhone, passing through a wide selection of captivating ports across Switzerland and France on its way to the city of Lyon, where it joins the Rhone. 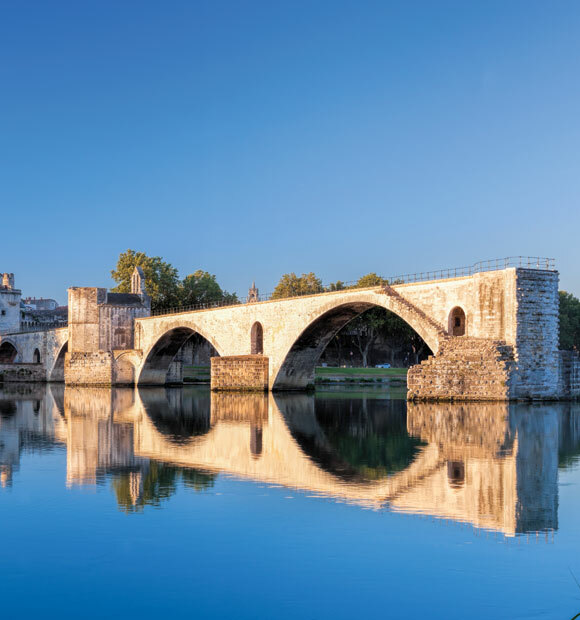 Cruises along the Saone therefore, often link to the Rhone at some point in order to lengthen itineraries and offer a more expansive tour of France, sailing further south towards the beautiful and iconic French Riviera. While the majority of France’s largest and most important cities can be found along other rivers across the country, including the Rhone and the Seine, the Saone has a collection of quaint villages and stunning wine producing regions along its banks, where scenic vineyards and rolling green hills offer a wonderful haven at which travellers can take a stroll to soak up to region’s wonderfully serene and peaceful atmosphere. A river cruise along the Saone is a marvellous way to uncover the rural beauty and charming culture of eastern France, and when combined with sailings along some of the country’s other most famous waterways, such as the Seine and the Rhone, it offers a truly in-depth and immersive experience of life across this famous nation. 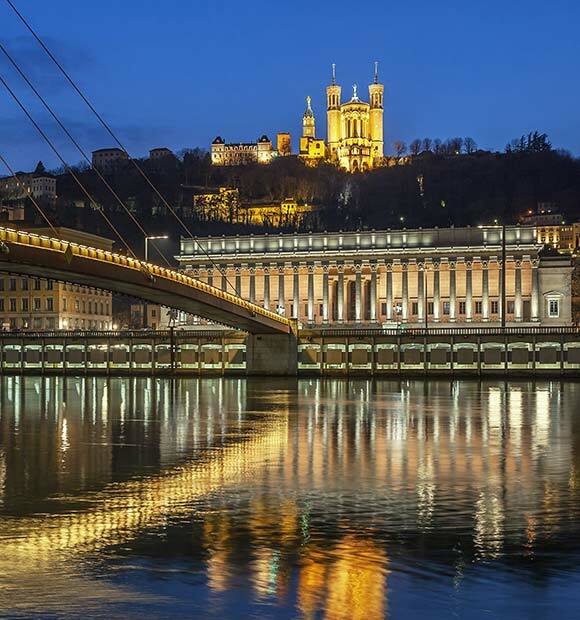 As one of France’s most historically diverse cities, Lyon provides an excellent overview of the many stages in the country’s past to thousands of visiting river cruisers. With around 2,000 years of history to draw upon, the city is a UNESCO World Heritage Site and the third largest city in all of France. Explore the Cathedral Saint Jean Baptiste where an astronomical clock performs a five minute show every hour; take a journey to the old town and visit the Traboules where a network of old passageways still exist; ride the furnicular and scale Fourviere Hill; or enjoy dining on traditional bouchons for a tempting treat. A small city based in eastern France, Beaune is the wine capital of Burgundy and home to some of the best vineyards in the world. Enjoy a tour of the wine-making process; explore the renowned cellars; or learn of how the culture has been shaped by the wine industry on a number of tours. Of course, there is much more to do in Beaune than enjoy wine-based excursions. The beautiful Hotel Dieu is a charming architectural structure and the Chateau de Savigny-les-Beaune where vintage vehicles rest as the perfect attraction for memorabilia buffs. Art lovers will also love the opportunity to visit the Dalineum where the celebrated surrealist's works are showcased. A popular starting point for many Saone cruises, Chalon-sur-Saone lies along the banks of France's famous Burgundy region. There are a number of famous residents for the town including Nicephore Niepce - a French inventor who pioneered the technique used to create the world's first photograph - and Dominique Vivant Denon - the first director of Paris' Louvre museum. Landmarks worth visiting to embrace the history of this region include the local museum, dedicated to Niepce; Denon Museum; the twin towers of St. Vincent's Cathedral and its beautiful gothic facade. If you're looking to explore further, a trip to the Jardin de Cassandra is just outside the town and offers a tranquil escape in the surroundings of a modern garden shaped by a botanical enthusiast. Known as one of the top culinary places along the Saone, Tournus has six restaurants with Michelin star status - four of which received praise in the 2018 Michelin Guide. One of these includes Aux Terraces, where chef Jean-Michel Carrette continues his father's legacy offering Charolais beef, Bresse poultry and local produce. The city itself is surrounded by scenic landscapes, where hilltops rise above tiny villages and churches are nestled between. A top landmark for Tournus includes the 10th-century Romanesque abbey church, as well as the 12th-century church in the medieval village of Brancion. The region is also close to Chardonnay - perfect for wine lovers to explore and visit. 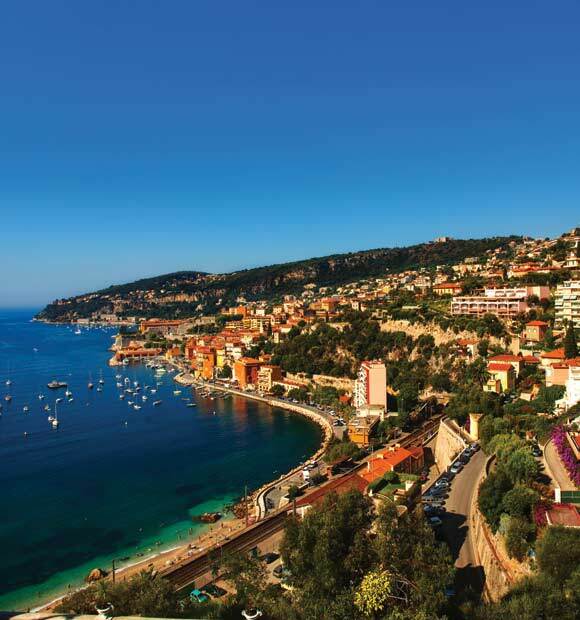 Villefranche-sur-Saone is beautiful and historic - owing to one of the country's most famous wine exports, Beaujolais. Decorated with Renaissance townhouses, quaint courtyards and narrow passageways, the region is delicate and light - just like the wine which originates from here. Iconic places to visit here include the Municipal Paul Dini Museum for its contemporary art exhibitions; Maisons du Patrimoine which is not only a beautiful building but also houses a number of artistic and cultural exhibits; the Church of Notre Dame des Marais also offers an attractive Romanesque tower which date back to the 13th century. For nature lovers, Sapins Lake is home to some beautiful scenery and a great place to enjoy water sports and enjoy the sun during the summer. A small town along the Saone, Trevoux is home to a large number of buildings from the 17th- and 18th-centuries. These include the former palace of the Dombes Parliament - of which Trevoux was previously the former capital of - as well as private mansions and a 14th-century castle rasied high within the town. 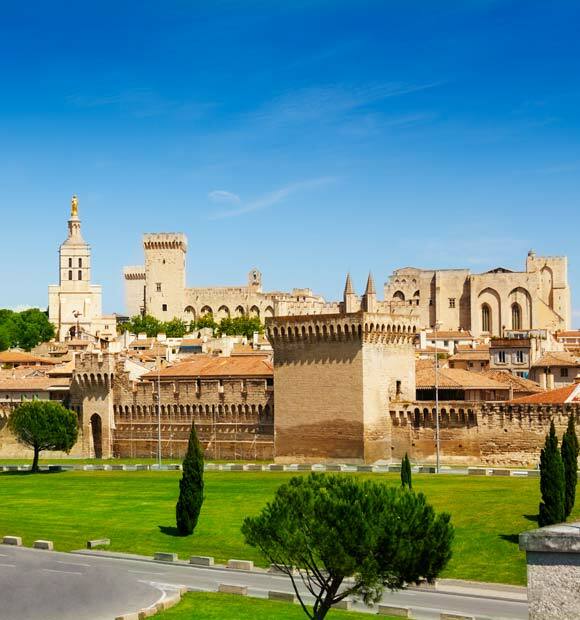 Exploring the region offers insight into its past as the capital of the principality of Dombes, which you can also view from the hill alongside the Saone Valley, Monts d'Or and Beaujolai. Within the town, visit the apothecary of Montpensier Hospital; the Church of Saint-Symphorien; and the interesting woodwork within the Parliament Palace of Dombes.